Already dealing with injuries to a few key players, the Cleveland Indians have suffered a big blow to their vaunted pitching staff. Mike Clevinger was placed on the 10-day Injured List Tuesday with a strain of the teres major muscle in his upper back. The club has indicated that he will be shut down for at least six to eight weeks. Based on that timeline, mid to late June may be the earliest Clevinger is back on the mound for the Tribe. Through his first two starts of the season, Clevinger has pitched 12 scoreless innings, allowing just two hits while striking out 22. He’s been even better than last season when he went 13-8 with a 3.02 ERA over 32 starts. Tuesday’s announcement that he’ll be on the shelf for the next two months came out of the blue and is a terrible loss for the Cleveland rotation. The only sign that something was amiss was Clevinger being pulled after just five innings and 75 pitches Sunday against the Blue Jays. As it turns out, he had been experiencing some discomfort in his back for a few innings prior to leaving the game. The initial hope is that the early exit was precautionary. However, on Tuesday, Indians manager Terry Francona called the injury “significant.” He added that Clevinger won’t even pick up a baseball for six to eight weeks. Even if Clevinger is healthy by then, he’ll still need a couple of weeks to work his way back to the majors, pushing back his return even further than eight weeks. The Indians are now tasked with finding a replacement for Clevinger in their starting rotation. Danny Salazar began the season on the DL and is nowhere close to ready to be activated. Adam Plutko, who started 12 games for Cleveland last year, is also unavailable due to injury. Cody Anderson could be an option, although he hasn’t pitched in the majors since 2016 because of Tommy John surgery. He’s still getting back into shape after only threw three innings in his first triple-A start. In short, there aren’t many exciting options for the vacant rotation spot. To make matters worse, both Corey Kluber and Carlos Carrasco have had rather uneven outings in their first two starts of the season. The Indians expect both veterans to perform better moving forward. However, they will have less margin for error now that Clevinger is out. Moreover, the Cleveland rotation isn’t quite as deep and intimidating with Clevinger, Salazar, and Plutko all nursing injuries. 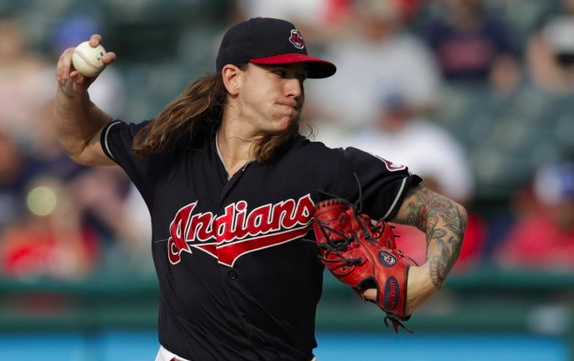 Despite the injury to Clevinger, the Indians should still be considered favorites in the AL Central. However, it does throw a wrench into their plans. The Indians were expecting to dominate the division with their outstanding rotation. That will be harder to do without Clevinger in the rotation for at least two months, especially after the way he started the season. Given the uncertainty of Clevinger’s return at the moment, this injury is a potential game-changer for the Indians.